Special Features: At 2mm square it is the third smallest LED and my personal Favorite as the this size fits all my needs. 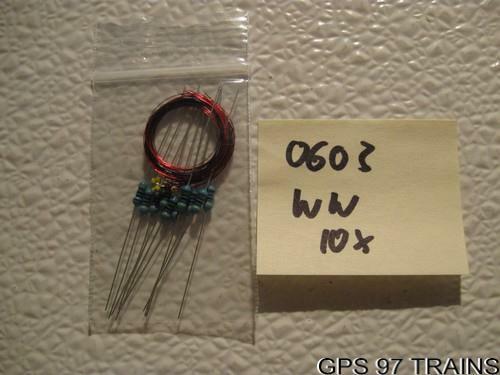 These have a very thin color coated copper wire and thus fit into loco's real well. After you add the resistor it will allow 12 - 18V. I have used these for replacement lights in my loco's since they reassemble a bright output and a clear illumination. Also they are really great for illuminating the track since you hardly can see them. I am certain there are many other applications for them.